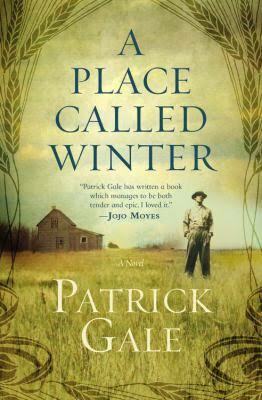 A Place Called Winter is one of those books with a big heart, humanity, and an ability to make peace with the cruelty that so often happens between people. The protagonist, Harry Cane has had a relatively privileged life, and although his parents have been distant, he has been to good schools, formed a very close bond with his brother, and made a good marriage, but an encounter with a much older man threatens that, and the times in which the book is set means that any scandal could be ruinous for his family. The affair is only discovered after Harry leaves a message in an autograph book, but it is hushed up, so Harry has no choice but to abandon his wife, his small child (who will be bought up by other man, following his divorce) and start a new life in the wild and unforgiving Canadian Wilderness. Harry falls in with the wrong crowd, and the charismatic man who accompanies him, is anything but that, but the year that Harry spends working the land, in the company of a caring family, before making a go of it himself is the year that makes him, and turns him from the shy, stammering boy of his youth, into a man of substance. As Harry battles the unforgiving locals, the roughness of the land and finds a new love, there is a happy ending of sorts. The novel itself has a far from linear narrative, we find Harry first in a Sanatorium, where his various defects, and uncertainties are revealed, and we are told in flashback about his youth, his schooldays, and the heart breaking letter he receives from his brother, saying that they can no longer write. The storyline is a fictionalised account of something that happened to Patrick Gale’s relative, and the basic details are the same, including the name, but much has been left to interpretation, and it is this blending of fact and fiction in this novel that gives it its power. The book summons up the times, and is a fine read, with believable characterisation, and development.